Airwavz.tv ships Priority Mail via USPS directly from our wharehouse to most anywhere in the world. RedZone Receiver shipments are usually received within 2-3 business days in the USA. 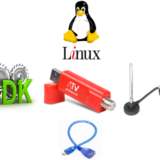 Immediately after purchasing RedZone Receiver Kit, or TvXplorer™ Bundle, you can download the licensed software. We use Stripe secure credit cards for payments.